With four games to go (three for some teams), there isn’t much intrigue on the top side of the table. 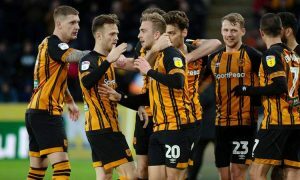 However, at the bottom Stoke City, Southampton, Swansea, Huddersfield, West Ham, Crystal Palace and Brighton & Hove Albion are about to decide who will join West From in the EFL championship. Liverpool have almost qualified for the Champions League final. All they need to do in Rome is to put another performance similar to the one in Etihad where they won 1:2 against Manchester City. However, this means that Jurgen Klopp must rest some of his stars. Liverpool are short of experienced high quality players in their squad as too many of their important players are injured. So the Reds need give some of their reserves chance to play against Stike City at Anfield. It is now or never for Stoke and I think the the Potters have a good chance to take a point at Anfield. Would though that Burnley were about to collect 53 points in the Premier League with 3-4 games to go. Well they did and I do not see a reason why they would not win or draw that one. However, Brighton need to get a point to keep their place in the Premier League. It is a game that Crystal Palace could win and must win if the want to stay in the Premier League. Jeffrey Schlupp and Connor Wickham have returned to training, but both are likely miss this fixture for Palace. Scott Dann, Jason Puncheon and Bakary Sako remain long-term absentees for the Eagles. Leicester’s goalkeeper Kasper Schmeichel and striker Shinji Okazaki are n to ready to start for Leicester. 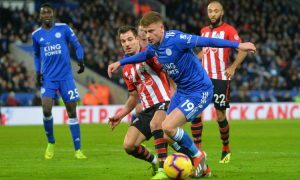 The Foxes will give Palace a fight as the Leicester boot Claude Puel said “We maintain the club, we saved the club, now it is important to put in place a good foundation”. 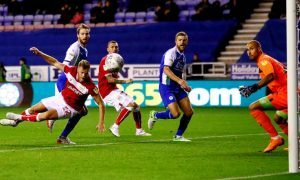 The Terriers have had their ups and downs in their first season in the Premier League. I think that it is just one of a number of the seasons they will spend in the highest tier of the English football. Everton are a better team, but it a group of players which does not have the right motivation to win a game like this. Well Sam Allardyce definitely wants the Toffees to win and to finish as high as possible in the table, something which would keep him at Goodison Park for another season. His Everton aren’t playing a good football despite that they currently sit 8th in the Premier League. The Blues have a negative goal difference of -14, which says a lot. 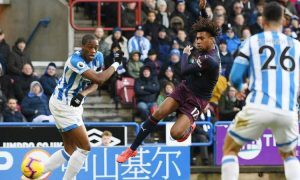 Huddersfield will try to win this fixture and I think they have a good chance to do so. The Terriers will be without one of their best players – Tom Ince through a hamstring strain. Elias Kachunga, Danny Williams and Michael Hefele are still sidelined. Sam Allardyce is about to decide whether to play Morgan Schneiderlin, Leighton Baines and Dominic Calvert-Lewin. Gylfi Sigurdsson and Mason Holgate are out of the Everton’s squad. If West Brom have appointed Darren Moore as their manager earlier, they would either be in a safer zone of the table or would be having few more points. It is totally opposite for Newcastle who are happy to have the highest profile manager in their history. If Rafael Benitez have had the team similar to the one that Kevin Keegan in the 90s, he would have won the Premier League and would be fighting to win the Champions League. That’s how good Benitez is. I assume he would like to win another three points and to finish as high as possible in the league. Daniel Sturridge could star for West Brom. Nacer Chadli is also fit for the Baggies, but James Morrison who has returned to training is unlikely to play. This is nothing but a three pointer game for Southampton who are getting relegated if they don’t win this game. It is a local rivalry and the Bournemouth fans would be probably delighted to see their team sending the Saint into the EFL Championship. Southampton are without captain Steven Davis and Sofiane Boufal. Harry Arter and Adam Smithwill miss this fixture for Bournemouth. Chelsea have four Premier League games to win and to hope that either Tottenham or Liverpool will slip in the table. This is very unlikely, but the Antonio Conte’s team needs to improve on the filed and keep their rhythm until the May 19 when they play Manchester United in the FA Cup final. The Swans need at least a point to make sure they will stay above Southampton in the table. It is going to be very hard forth as Federico Fernandez and Kyle Bartley might not be able to play at the Liberty Stadium. Marcos Alonso will not play for Chelsea. Danny Drinkwater could play for Chelsea, while but defenders David Luiz and Ethan Ampadu are still unavailable. Neither of the three is a first choice player for Antonio Conte, however. It would be a nightmare fixture for the Hammers who needs to win at least 6 points to keep their Premier League place. The last team they want to play is the champions Manchester City, who have nothing to play for, expect to entertain their fans and to prove that they are the best team in the league. I don’t think that Pep Guardiola’s team will like to drop points on their visit to London Stadium. There is nothing to say about West Ham who are very unimpressive this season. David Moyes might have them a team which is not easy to win against. However, he did not improve their abilities to win games. Arsenal played fantastic football against Atletico Madrid and deserved to win. However, Antoine Griezmann used one defensive mistake to make 1:1. 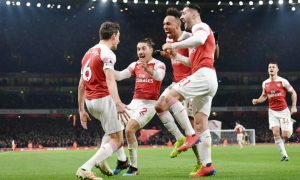 This is probably better for Arsenal as now they know that they should go to Madrid and win, if thy want to play at the UEFA Europa League final. I don’t believe that a goalless draw is a possible result for them. It is not a good time for the Gunners to play against Manchester United. They do not need the points they might win at Old Trafford. At the same time a loss at Manchester will not boost the Gunners’ confidence. Somehow Wenger needs to rest some of his best players, to get a point out of this fixture and to focus on Europa League game. Jose Mourinho’s Red Devils will be ruthless, however. It is must win game for them in order to secure the 2nd place in the Premier League table, something will give Jose Mourinho an argument to say that his team is good enough to win the league. Everything but three points for Spurs will be a very disappointing result for Tottenham fans who have seen recently seen their team kicked our of two important competition – the Champions League and the FA Cup. The fact taht they played against Juventus and Manchester United does not make it easier for them to accept the losses. Watford’s season is not over as they need to win another three points to make sure they will be playing in the Premier League next season. They might surprise Spurs, draw or even win at Wembley, but I’m not projecting any such outcome.